In the course of working with clients I’ve noticed that they hold varying levels of confidence depending on the subject or goal that we are addressing. When I ask what they feel is stopping them from reaching their goal many times the obstacles’ are self-doubt, uncertainty, indecisiveness, and willpower. Discussing confidence with clients forces me to look reflect back on my own, and since a great deal of it occurred when I was younger, I thought of an example that was etched in my mind from that time. When I was in middles school, my brother and his friend (who are three years older than me) asked if I wanted to join them on a skiing trip. I had skied a few time before and really enjoyed it so I accepted their invite and off we went. When we arrived at the mountain, my brother advised me to look for the signs on the hill and to stay on the green trails as these were the easiest. We skied the first run together with a few falls here and there, and then on to the chair lift to set off on another run. This time my brother and his friend said that they were going to ski a more advanced run and that they would meet me at the chair lift at the bottom. I watched as they skied off in front of me and decided that I could do this too, so I followed. As I approached the hill I felt so confident that I passed them at mock speed and began my swift decent -straight- down the advanced hill. I was going so fast, that I lost control and took the biggest digger of my life, and yard-sailed flat on my stomach the rest of the way down the hill! Today, I look back at this story and laugh, as I now understand that confidence is something that we choose to create. It is a habit and a practice that we can learn like anything else. Those moments where you feel like you can take on the world, where your plans seem to work out perfectly, these are things that we can create for ourselves at any time, it just takes practice. 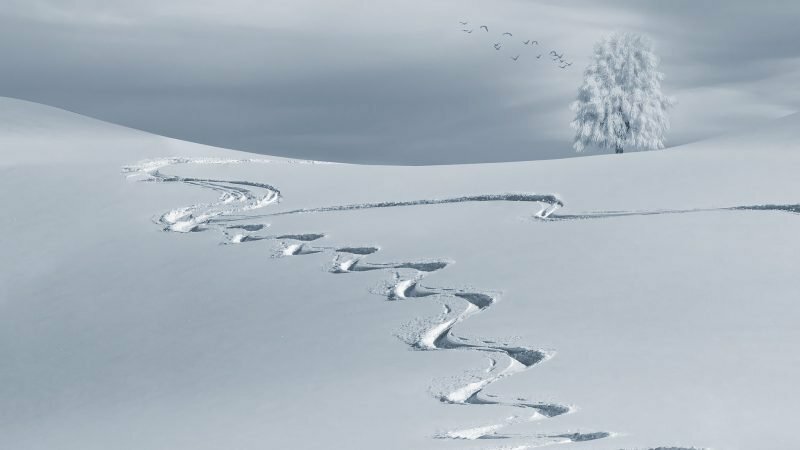 When I was a “beginner” skier, following my brother and his friend over to the advanced hill, I saw them doing what I wanted to do and then immediately experienced the reason why I shouldn’t have made that futile attempt. I was simply not ready for that level of skiing. Over a period of time and with dedicated practice, my skiing abilities improved. I took the allotted time and practiced with diligence to be the best skier that I possibly could be. Do you have a goal that you choose to be more confident with today?